Giving back over $1.22 million to Weatherford ISD schools since 2001. 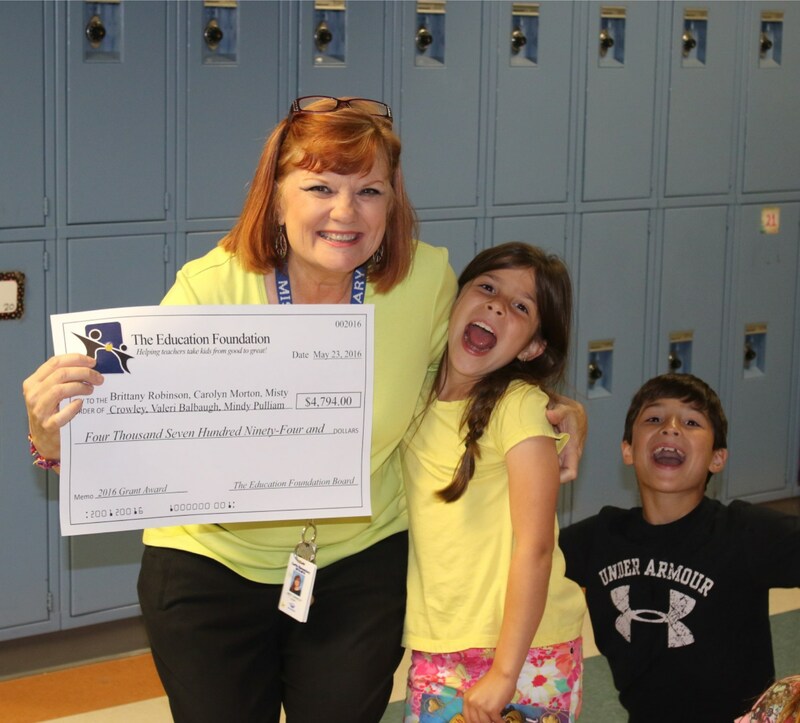 Curtis Elementary teacher, Misty Crowley, receives a grant from the WISD Education Foundation. She is surrounded by surprised students! Because every child deserves a great education! The Weatherford ISD Education Foundation is a 501(c)3 non-profit organization designed to help Weatherford ISD teachers implement creative learning projects for students in Pre-K to 12th grade through our grant awards program. We also provide brand new school supplies and backpacks for students whose families need support and give scholarships that allow our teachers to continue their education. In 2018, the WISD Education Foundation added a new funding priority called Heather's Books. Launched in memory of Ikard Elementary teacher Heather Holland, the Education Foundation gives $10 to each pre-K student in Weatherford ISD to purchase books from their school's fall and spring book fairs. The Education Foundation is honored to continue Heather's passion to instill a love of reading in children. We are grateful for the corporate, local business, and individual friends of Weatherford ISD who believe in the value of a public education and are willing to invest in the leaders of tomorrow. Through the tax-deductible donations of these individuals and businesses, the Weatherford ISD Education Foundation provides grant funding directly to our teachers who help take our students from good to great. 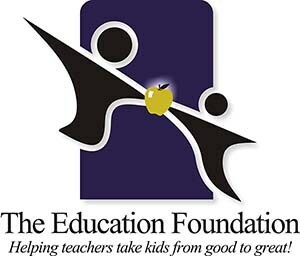 The Weatherford ISD Education Foundation is a 501(c)(3) nonprofit organization (EIN # 75-2881311). The Weatherford ISD Education Foundation was established in 2000. Over $1.22 million in grants to Weatherford ISD teachers have been awarded since 2001. Two $1,000 scholarships are awarded to WISD teachers each year to assist them as they pursue continuing education opportunities. Provided 173 Pre-K students with 283 books through our Heather's Books program in the first launch of this program in the fall of 2018. Our goal is to enrich the education of Weatherford ISD students and provide them with the best opportunity for success as they prepare for life beyond high school.